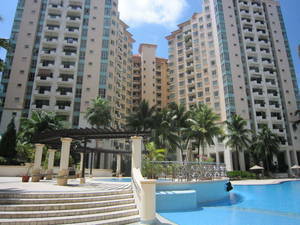 Prime District 15, Costa Rhu Condo, waterfront living, 4 bedrooms, high floor unit, 2056 sq. ft., facing pool, beautiful and spacious living. Unit above #12, private lift lobby, asking for $7,200 partially furnished, view and offer. Call 97896505 immediately. An elegant home near to Singapore Flyer, Marina Bay Sands, Central Business District, East Coast Parkway and Parkway Parade. Minutes to Orchard Road, Shenton Way, etc. Costa Rhu is a 99-years leasehold development located Rhu Cross in District 15 pleted in 1997, it comprises 737 units. Situated just in front of the Kallang Basin, it sports sensual waterfront living and spectacular views of the city skyline and river. Facilities at Costa Rhu are plenty. These include swimming pool, BBQ pits, gym, putting green, tennis and squash courts, sauna, clubhouse, and a playground. There is even a cafe, mini-mart, and laundry shop. Costa Rhu is minutes from the upcoming Nicoll Highway train station. Several elite schools, such as Dunman High and Singapore Management University, are within driving distance. Recreational facilities such as the East Coast Park, Marina Promenade Park, and Marina Bay Golf Course are also located in the vicinity. Other amenities such as shopping centres and establishments are sprawled across the area. In addition, attractions such as the Singapore Flyer and the Marina Barrage are within easy reach. For vehicle owners, travelling to the business hub and the vibrant Orchard Road shopping belt takes about 15 minutes, via Nicoll Highway or East Coast Parkway.